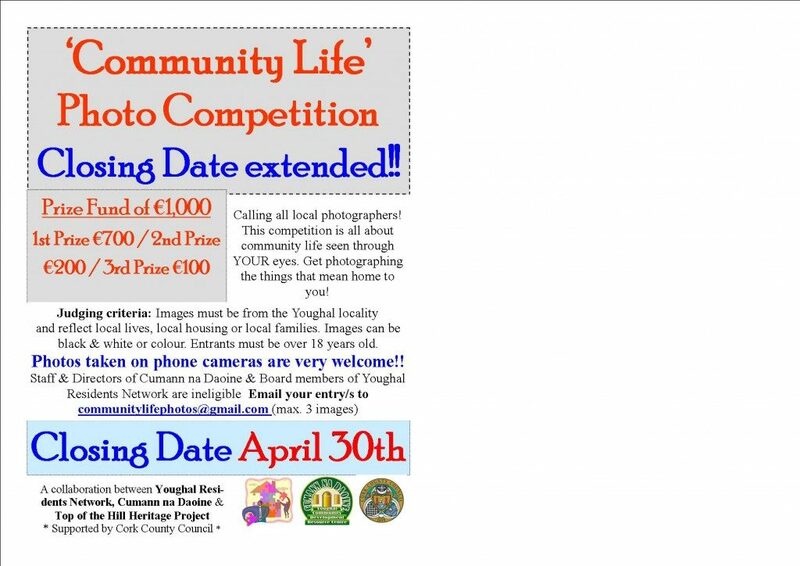 You have an extra few weeks to get your photos of COMMUNITY LIFE into us at Cumann na Daoine. Amateur of professional, using a camera or a phone – we’re looking for pictures of COMMUNITY LIFE through YOUR eyes! See photo for details on how to enter or call 024 91900. Get snapping – we’re looking forward to seeing your photos!